If you're a PC-first type of person, there's really only one reason to buy Microsoft's Xbox One S: You own or plan to own a 4K HDR TV, and want a relatively affordable but feature-packed media box to show it off. As a gaming machine, the Xbox One S fills an awkward niche in Microsoft's lineup. At $299 for 500GB of storage, $349 for 1TB and $399 for 2TB, compared with Samsung UBD-K8500 costs $100 more than Xbox One S. So the Xbox One S becomes the cheapest Blu-ray player available today. The new Xbox One S with four times the resolution of standard HD and 4K Ultra HD delivers the clearest, most realistic video possible. It can stream 4K content on Netflix and Amazon Video and watch Ultra HD Blu-ray movies in stunning visual fidelity with High Dynamic Range. 4K, or 3840*2160 resolution, is the next definition standard for video above the current standard of 1080P, or 1920*1080 resolution. HDR (high dynamic range) video allows for a wider gamut of colors to be displayed, thanks to increased brightness and contrast in the television display. Most 4K Blu-rays make use of HDR technology. It is really very strong for Xbox One S will be the cheapest Blu-ray player, but there are still have some compatibility issues like the region-locked and unsupported formats. 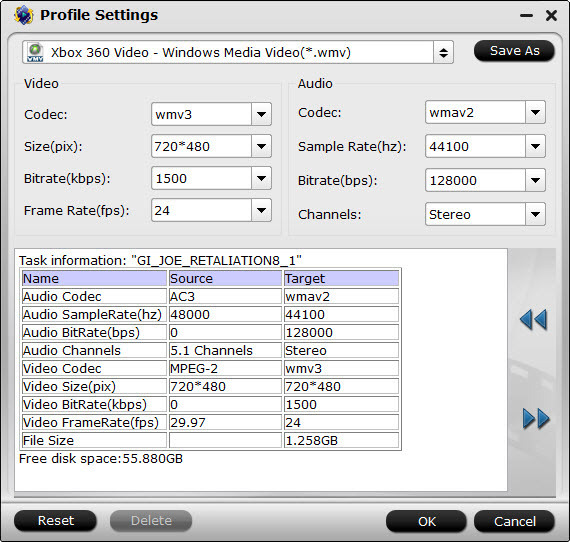 So it is necessary for you to have a Blu-ray ripper tool to rip the 4K Blu-ray to your Xbox One S supported formats like WMV, AVI, MP4, H.265, M3U8, MOV, etc with original video quality. In this way, you can watch your 4K Blu-ray movies on your Xbox One S freely. 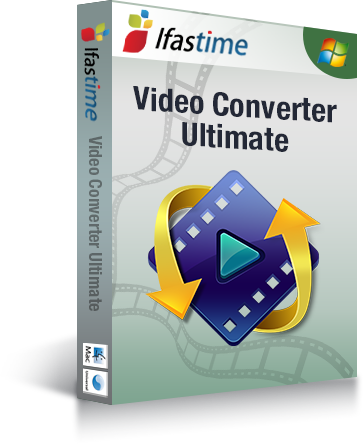 Here, we strong recommend iFastime Video Converter Ultimate to you. With it, you are capable of converting your 4K Blu-ray to an acceptable file format that is supported by your Xbox One S. It allows you to convert your 4K Blu-ray with a lot of ease thus making the experience fun. Nothing can be compared to the ability to rip your 4K Blu-ray devoid of any obstacle. Rip 4K Blu-ray to 3840*2160P AVI/WMV/MP4, compress 4K Blu-ray to 1080P WMV/AVI for Xbox One S.
Remove 4K Blu-ray region codes to region-free for Xbox One S.
Decrypt 4K, HD Blu-ray encoded with VC-1 and AVC to Xbox One S.
Convert 2D/3D Blu-ray to 3D SBS AVI, MP4, WMV, so that you can watch 3D videos on Xbox One S.
Allows you to choose desired subtitle streaming from 4K Blu-ray and then it will hard burn the subtitle to video so that you can watch Blu-ray movies on Xbox One S with subtitle. Transcode any videos (MKV, H.265, MP4, WMV, AVI, even DVD and Blu-ray) to Xbox One S, Xbox One, Xbox 360, PS3, PS4, Wii, Wii U and so on. After downloaded and installed 4K Blu-ray to Xbox One S converter, launch it. Click the "File" button and then choose "Load from disc" to load your 4K Blu-ray movies to the app. 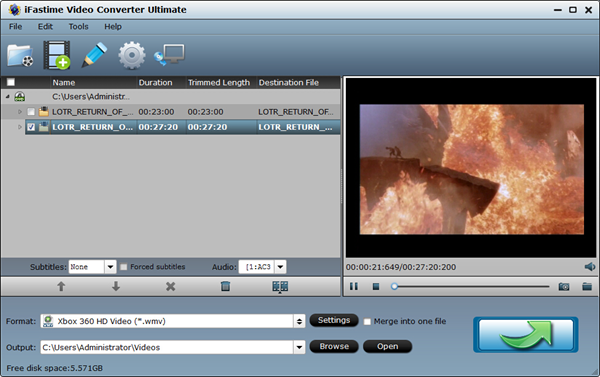 You can select one audio track and subtitles for output movies with subtitles under the chapter list. Click the "Format" and pull down profile list to navigate to "Zune/Xbox 360 Device". Here, you can choose the supported format recognized by Xbox One S as output format. Only to click the "green" button on the right-bottom. It will start to convert 4K Blu-ray to Xbox One S supported format. When the conversion is over, click the "open output folder" to open the files directly. 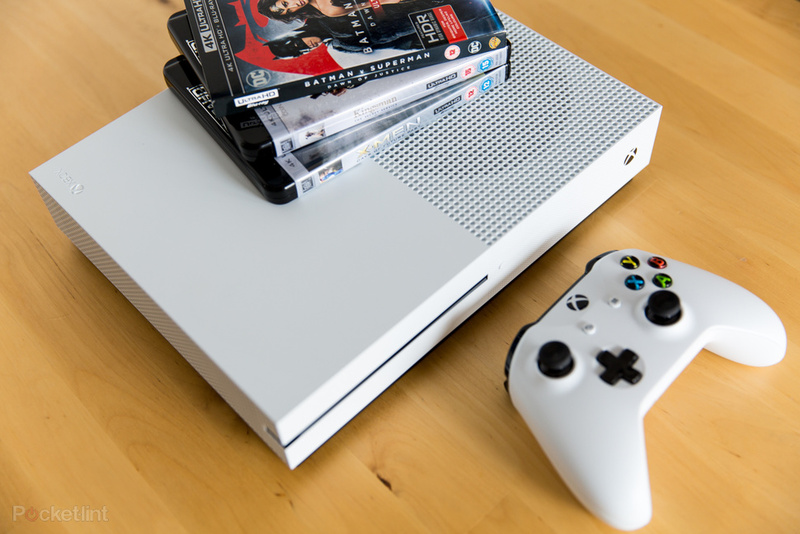 Then, connect your Xbox One S to a PC using Windows Media Center or copy the media files to a USB flash drive and play it on Xbox One S. In these two methods, you can play your 4K Blu-ray movies on your Xbox One S freely without buying videos on Xbox Live. At last, thanks to the cheapest 4K Blu-ray player - Xbox One S, we can enjoy the 4K Blu-ray movies at home at a lower price.